What a unique way to light up your living space! 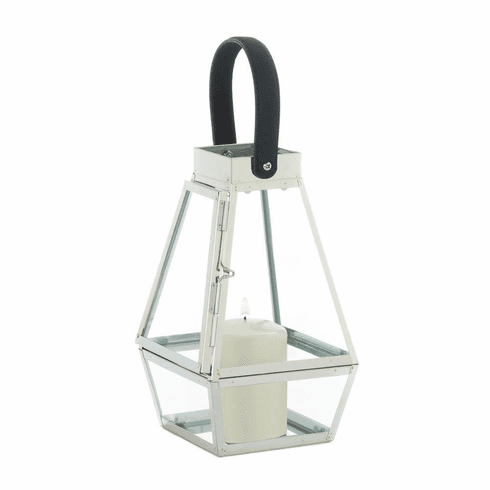 This silver metal lantern looks like a faceted jewel, especially when you add the candle of your choice inside. On top is a faux leather strap. Weight 2 pounds. 5.5" x 6" x 9.5". Height w/loop: 13 1/2". Stainless Steel, Glass. UPC Number: 849179035532.